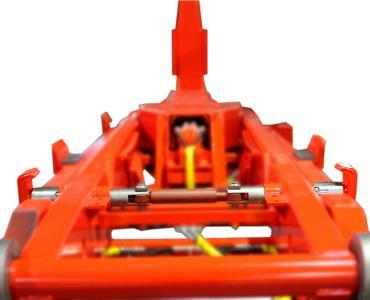 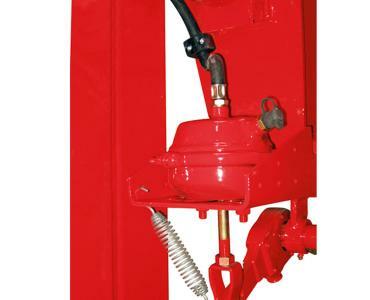 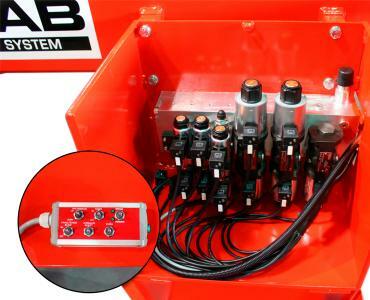 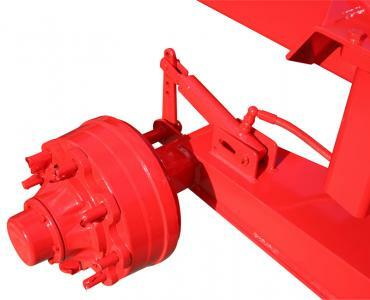 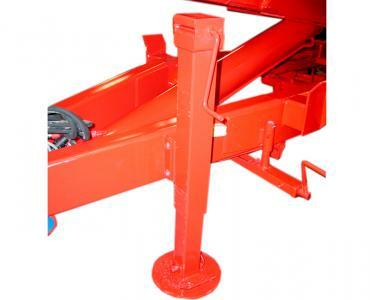 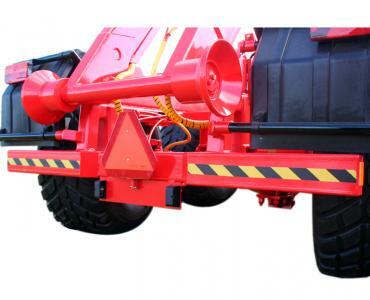 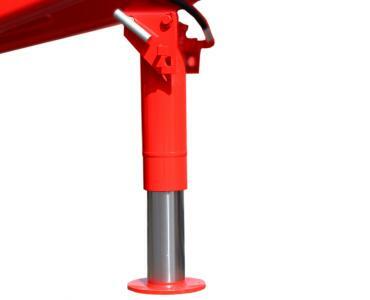 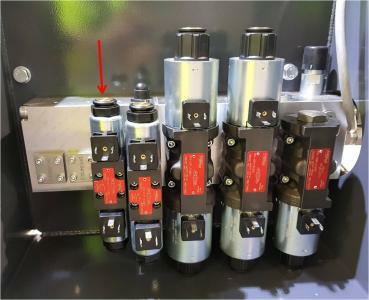 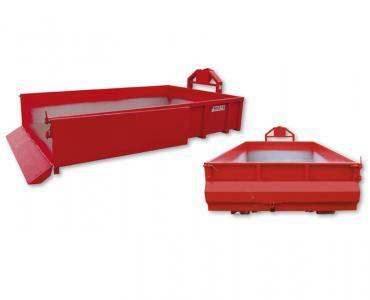 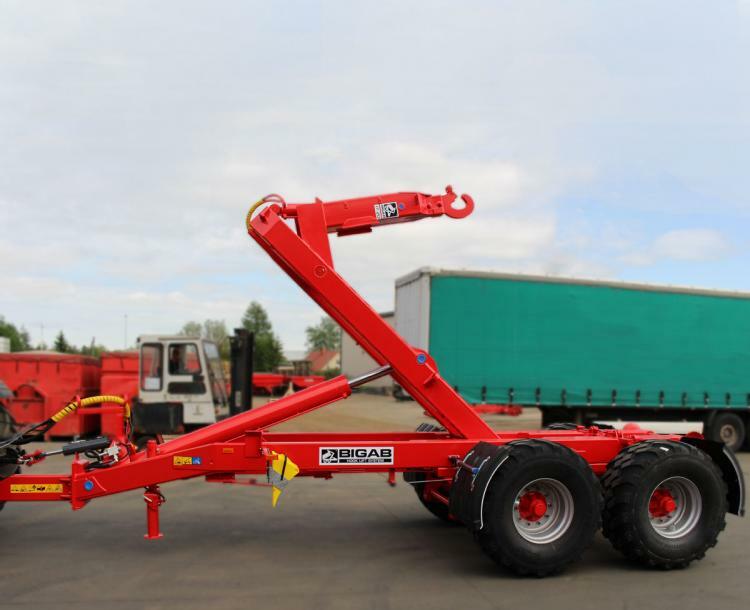 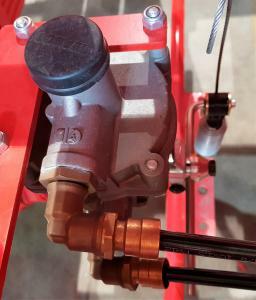 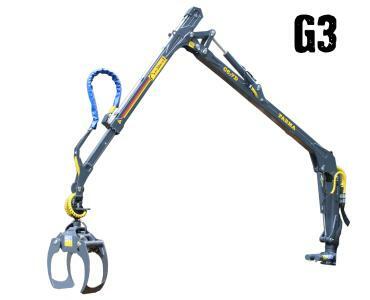 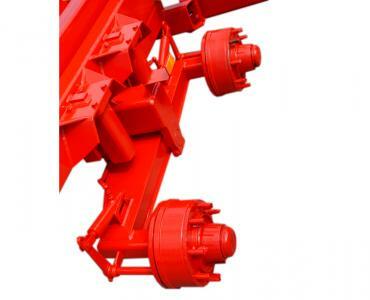 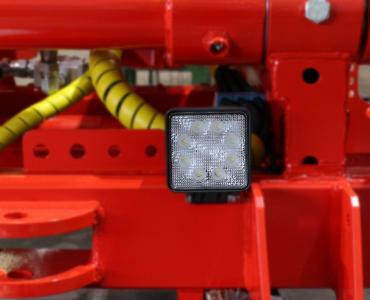 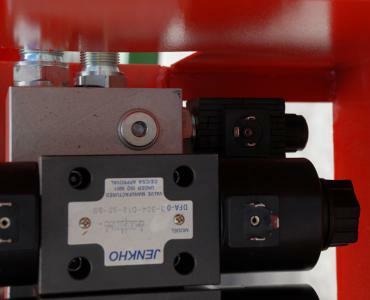 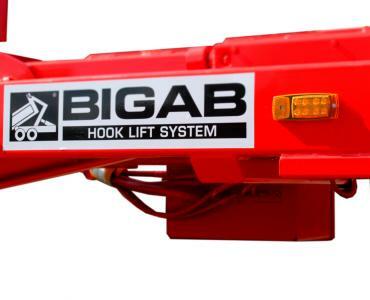 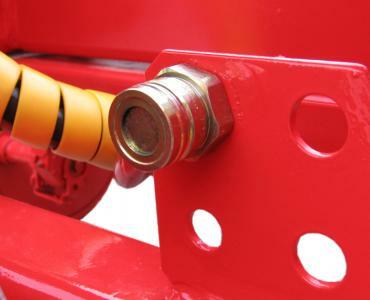 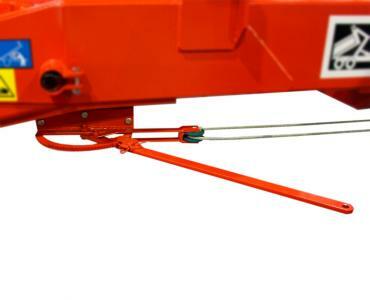 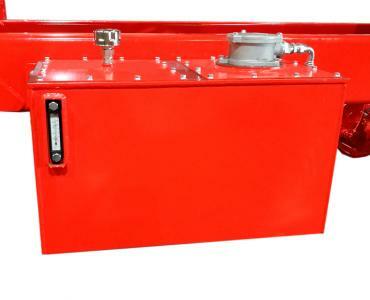 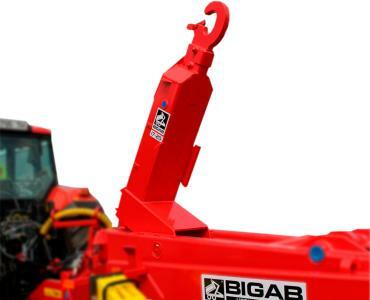 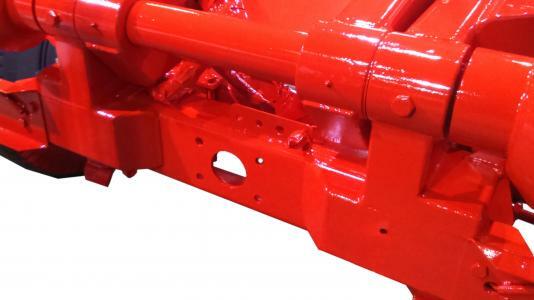 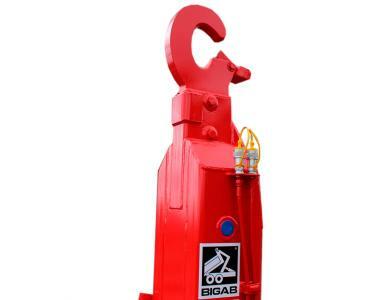 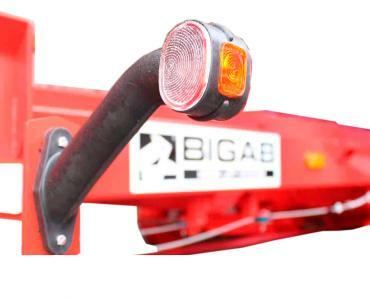 BIGAB 17–20 is a new model with the same basic design as the 15-19 but which is fully equipped, most of the equipment being fitted as standard at the factory. 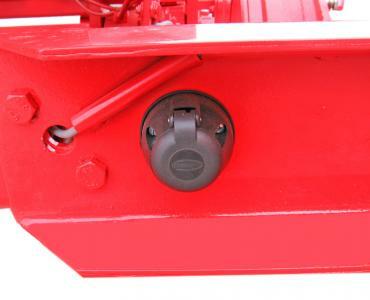 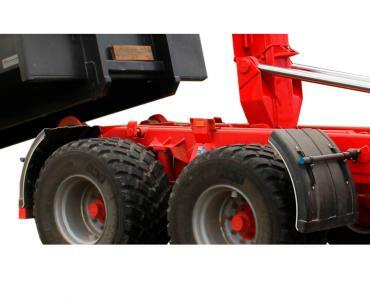 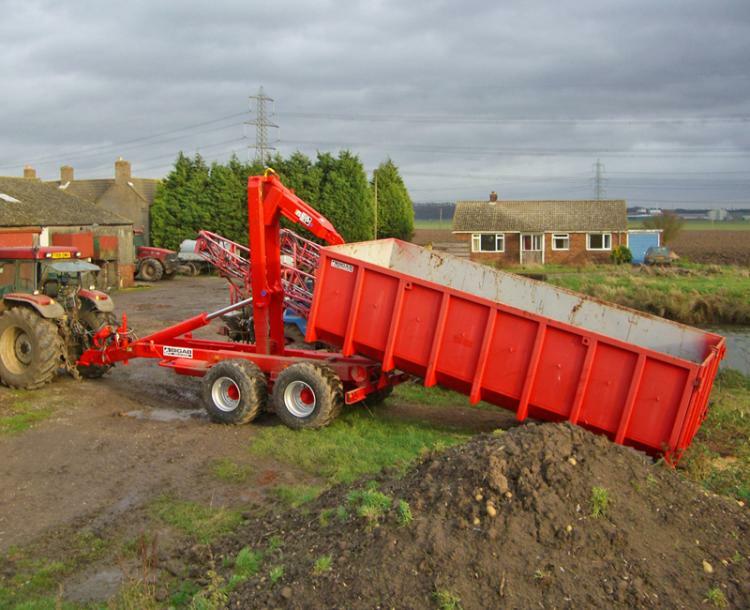 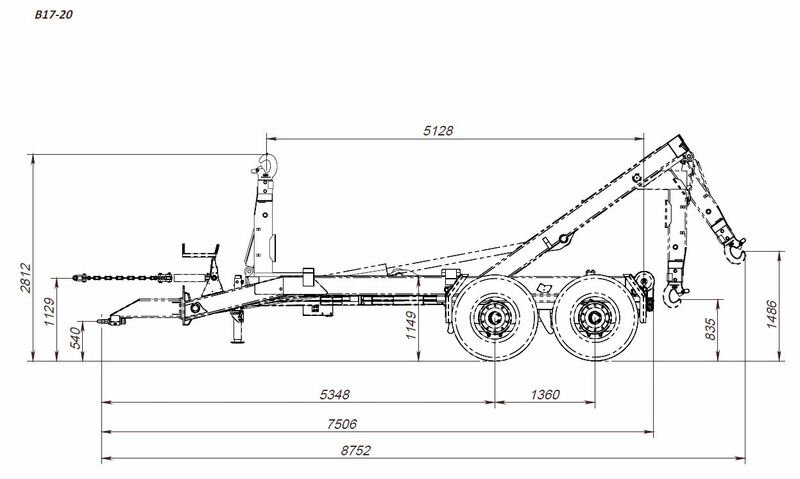 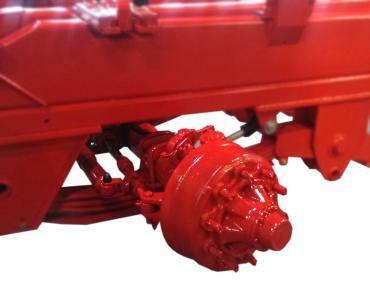 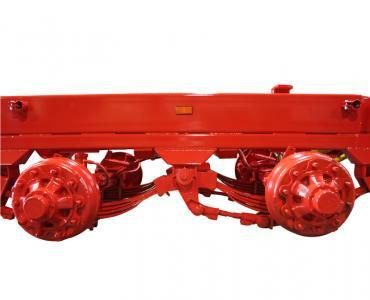 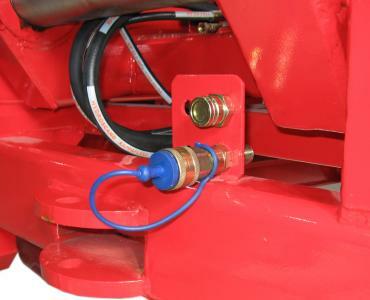 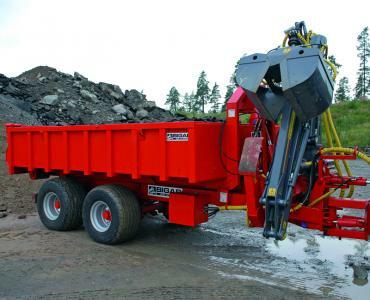 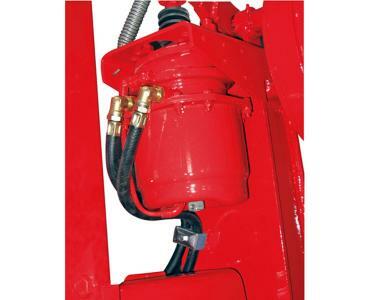 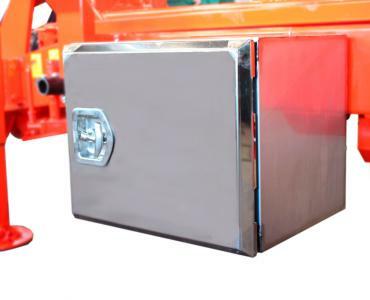 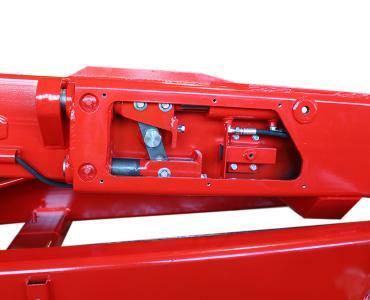 17-20 has a sprung 24 tonne tandem bogie, hydraulic load transfer cylinder to the tractor enabling improved load transfer during exchange, hydraulic control between tipping and exchange, electric control valve for the hydraulic functions (pressure and free return) with a control unit in the cab for convenient application of the functions. 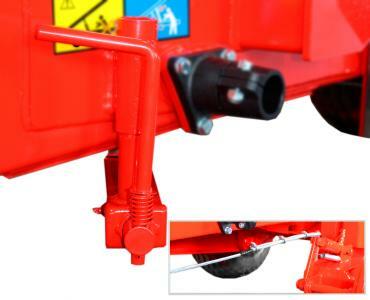 In addition, two doubleaction auxiliary functions can be added, as well as half front and rear mudguards. 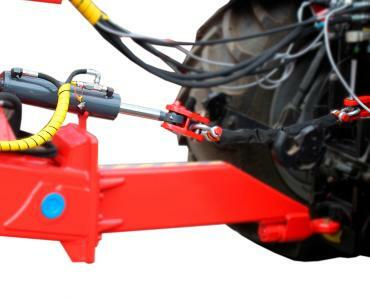 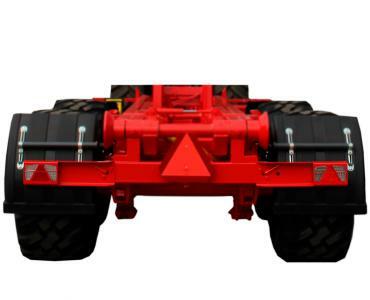 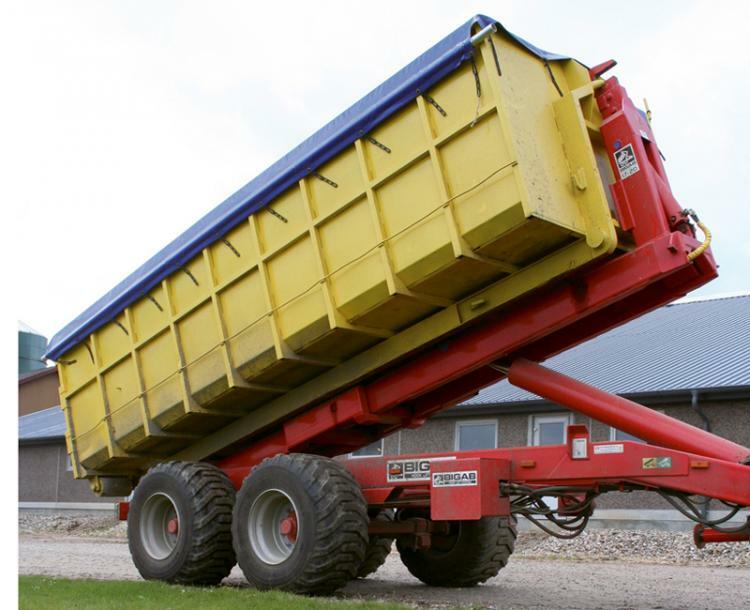 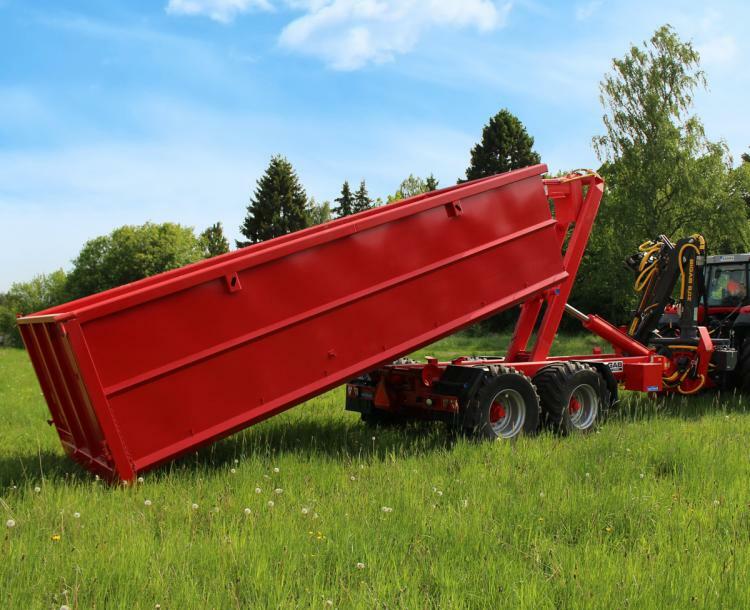 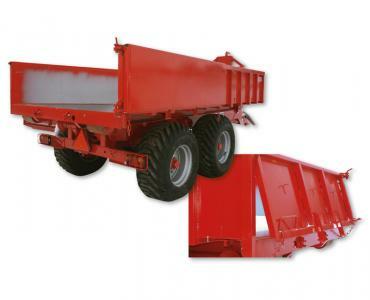 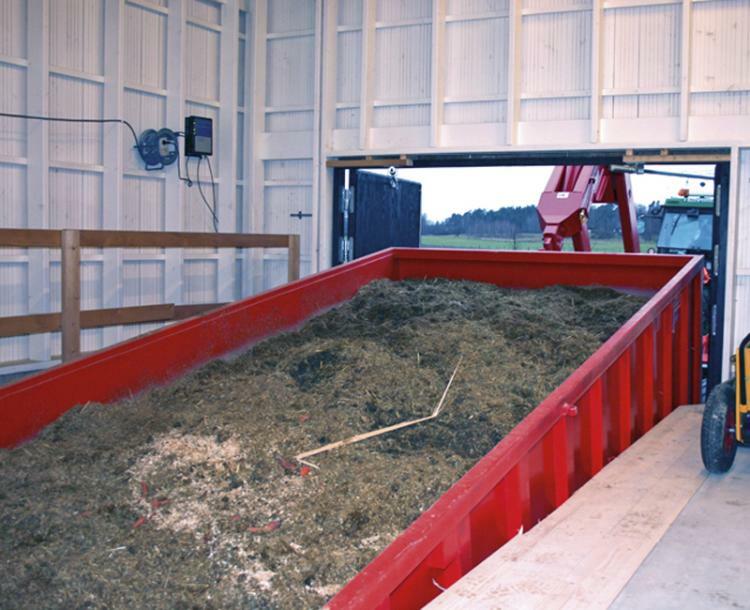 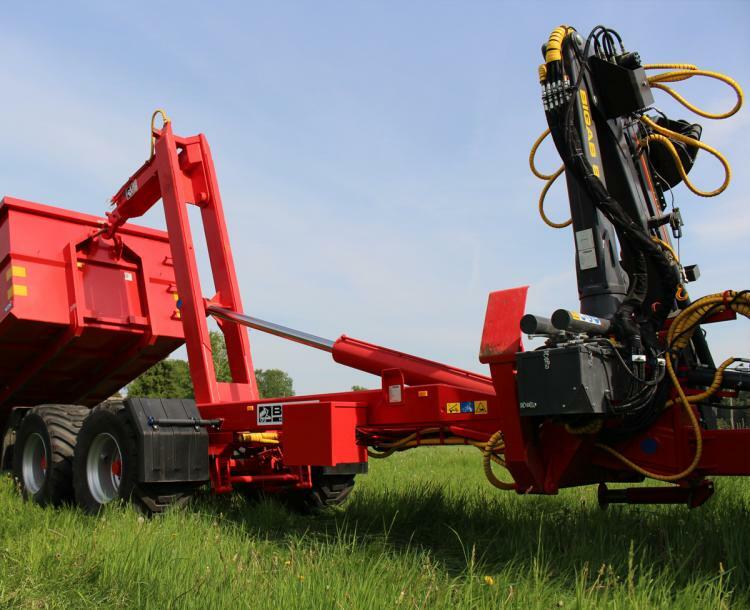 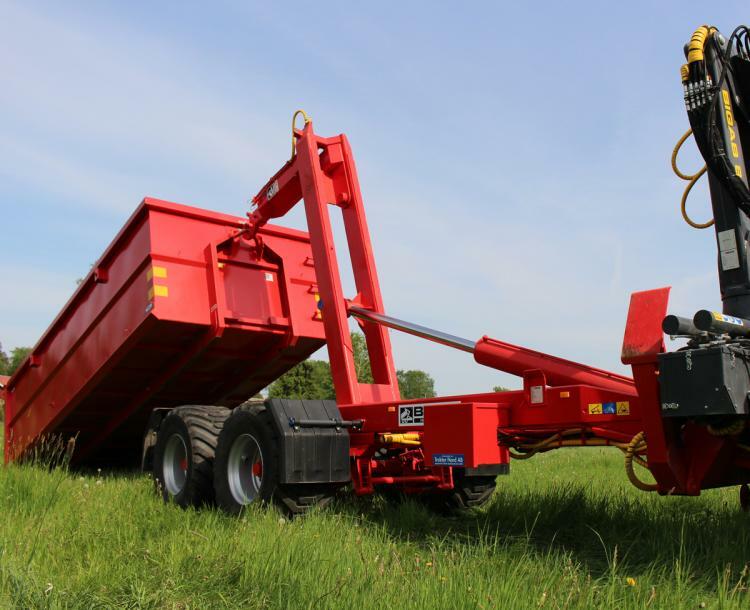 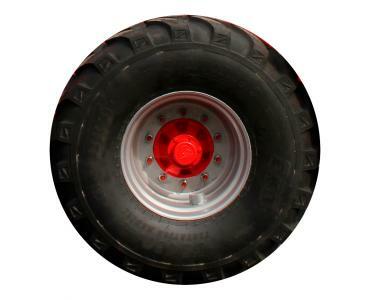 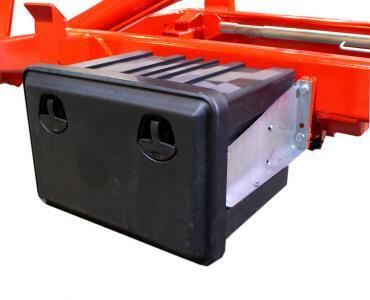 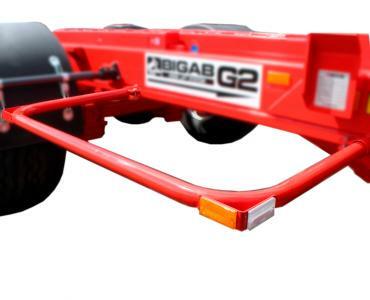 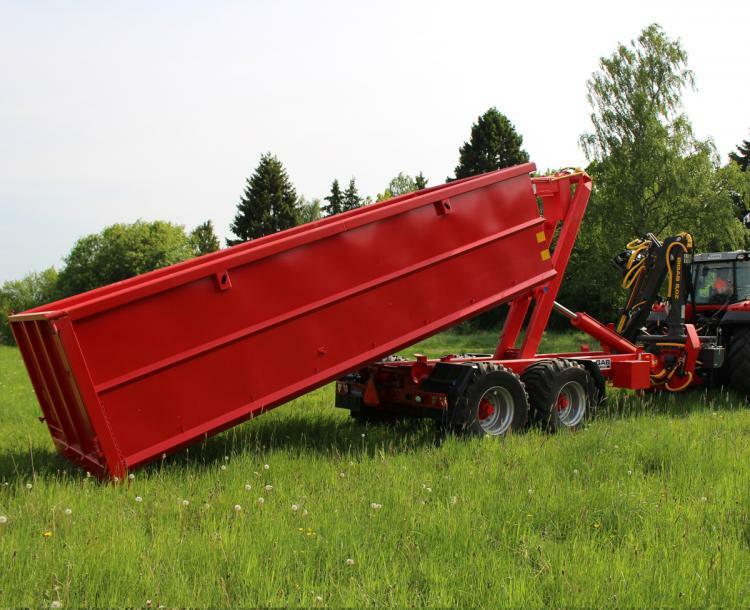 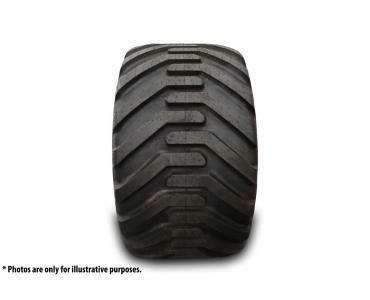 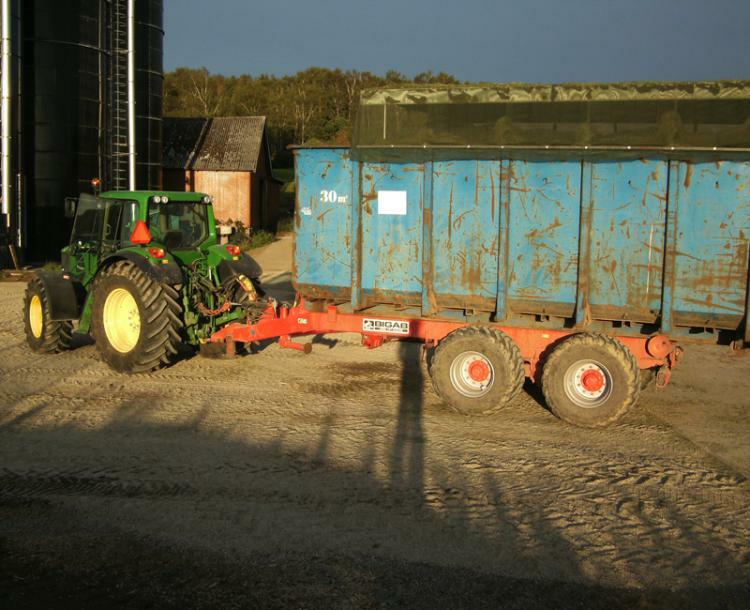 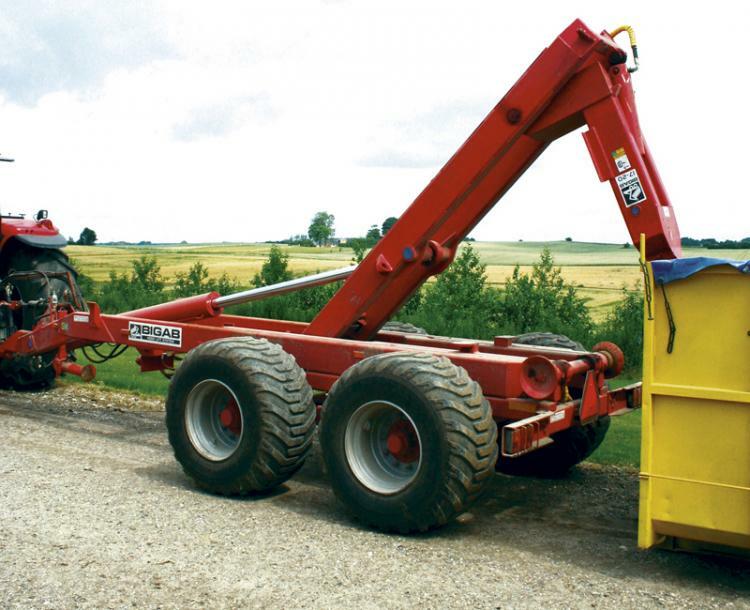 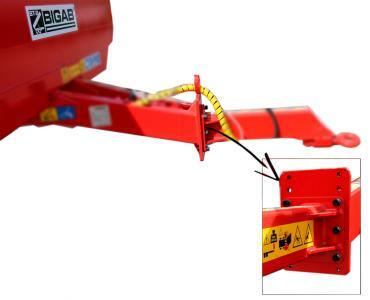 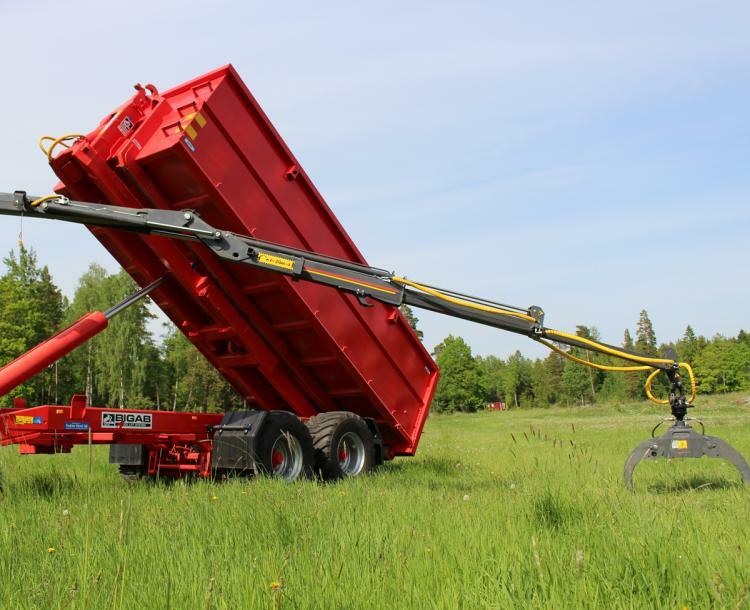 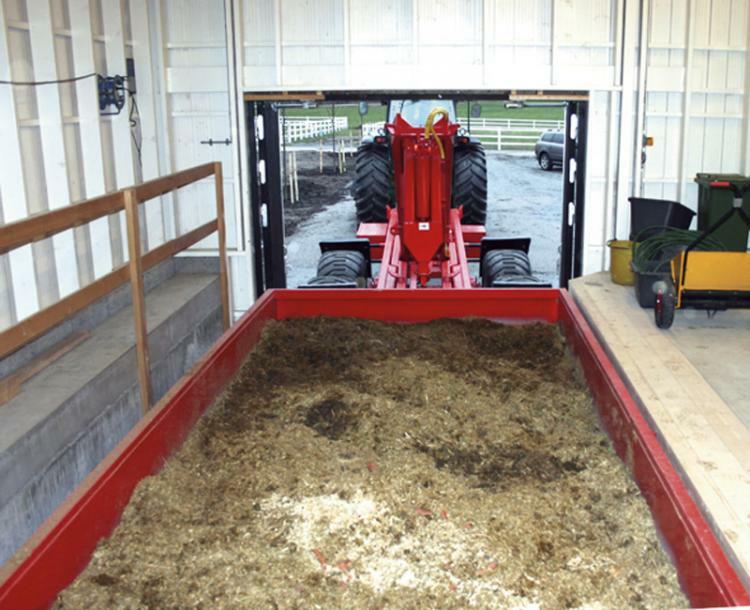 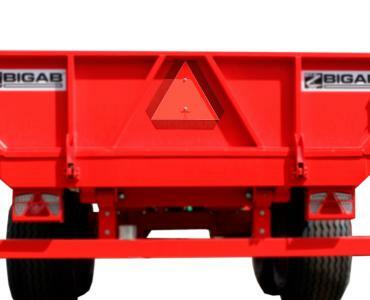 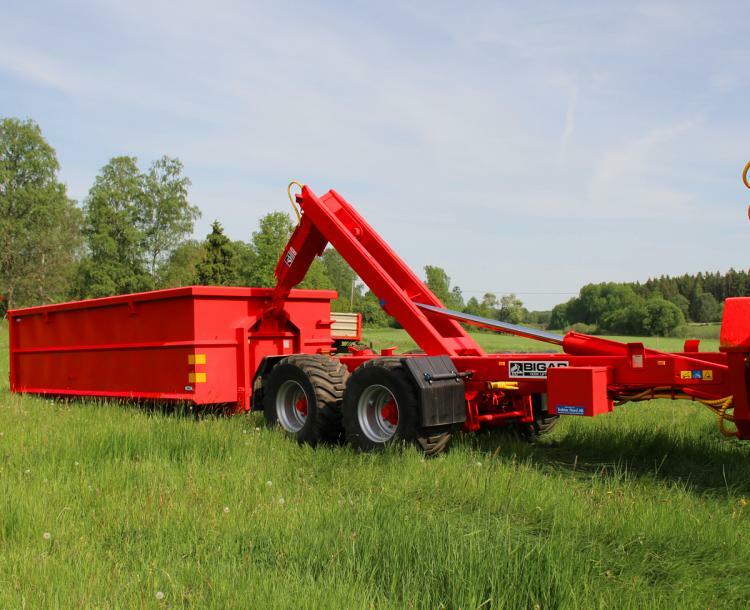 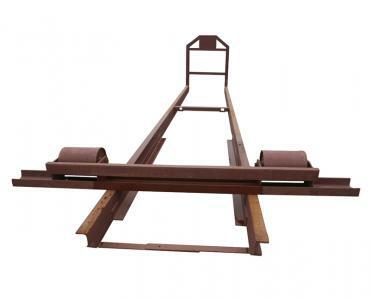 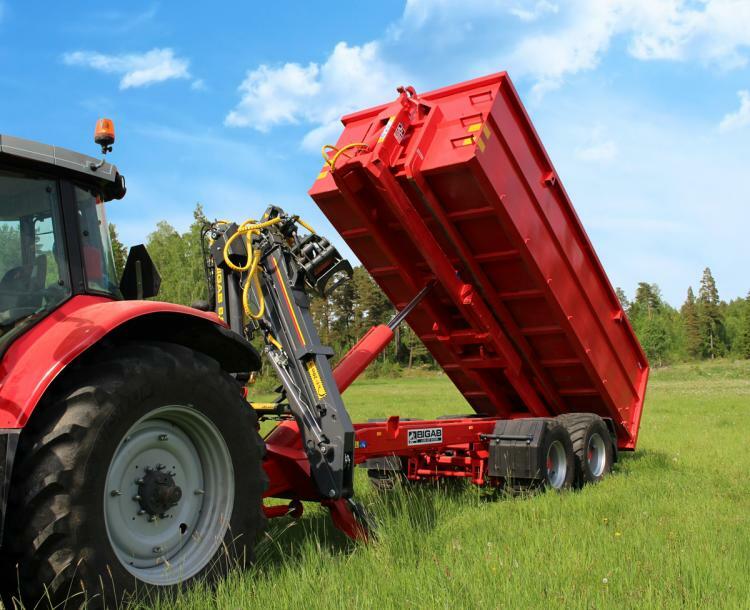 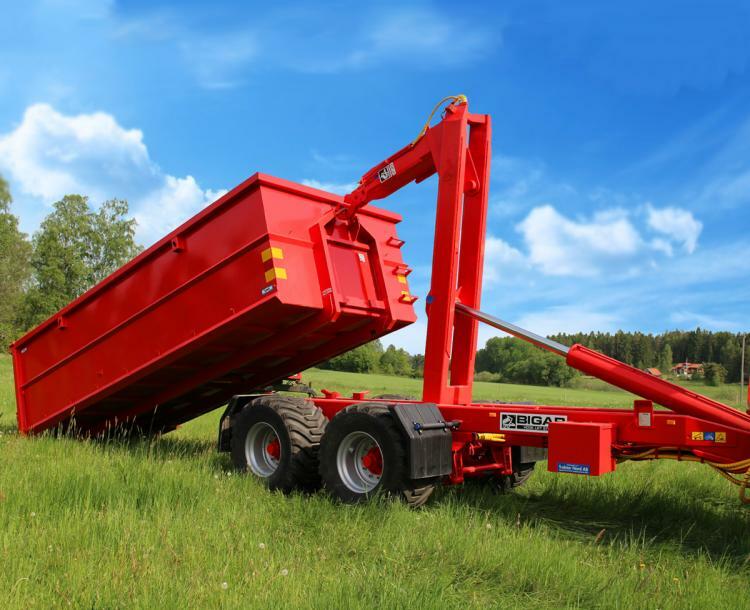 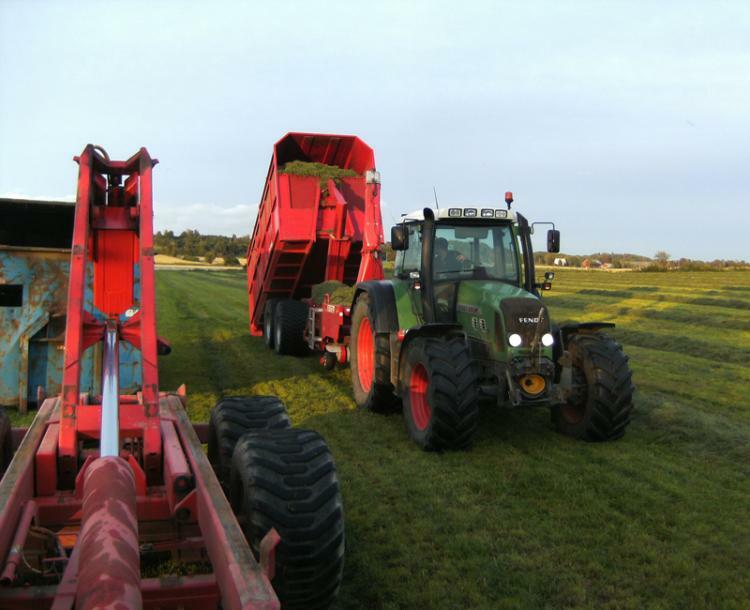 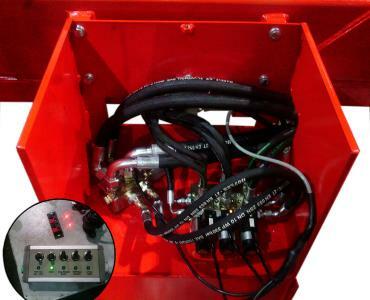 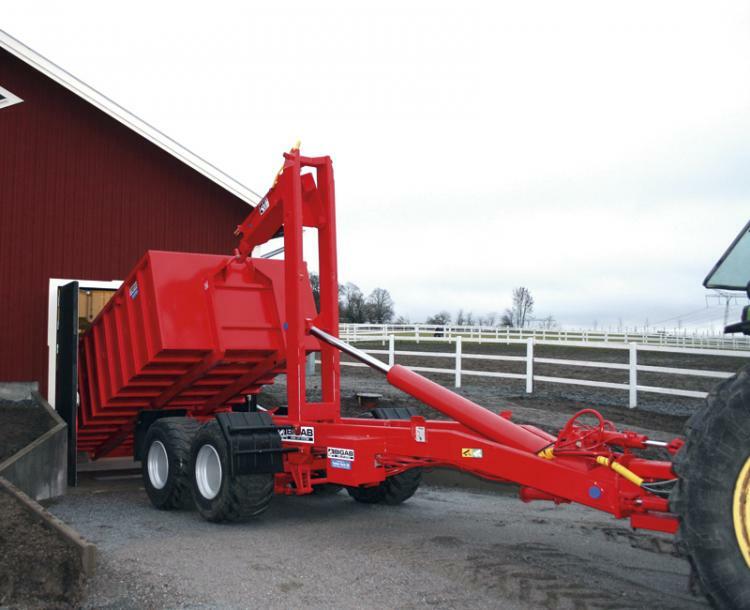 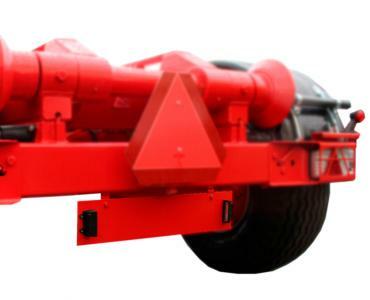 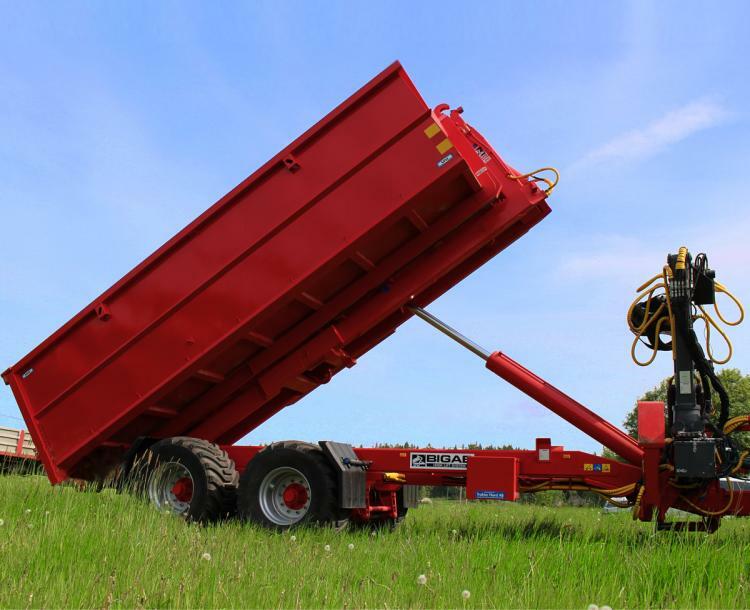 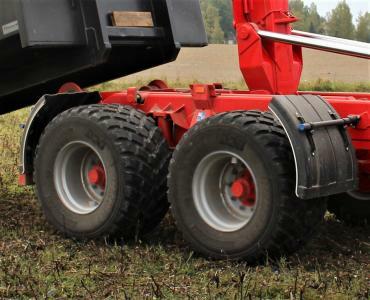 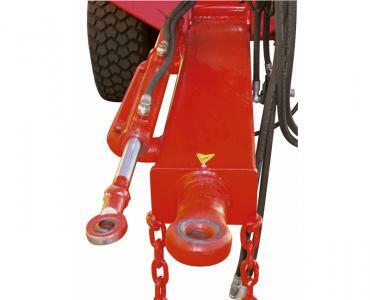 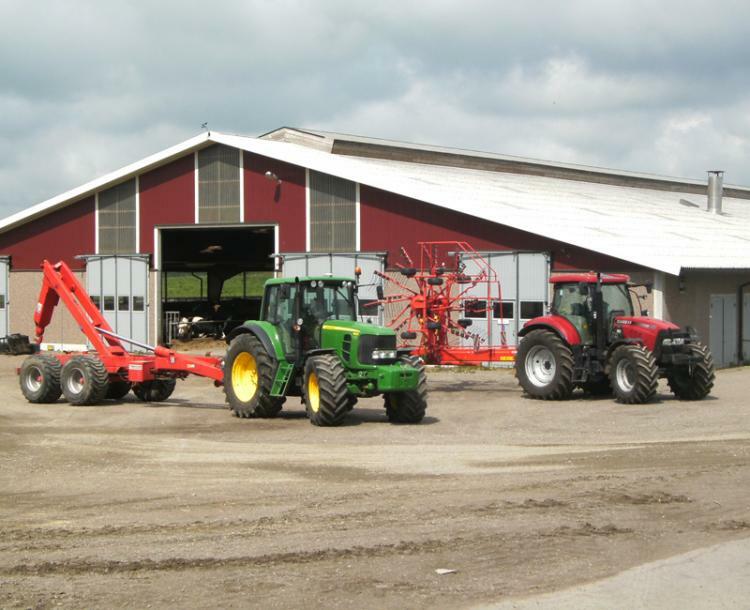 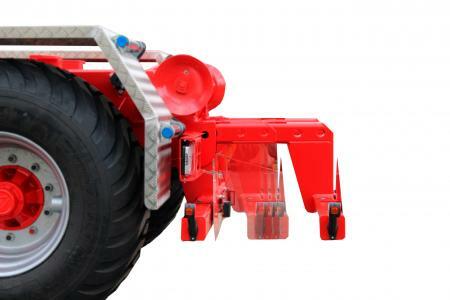 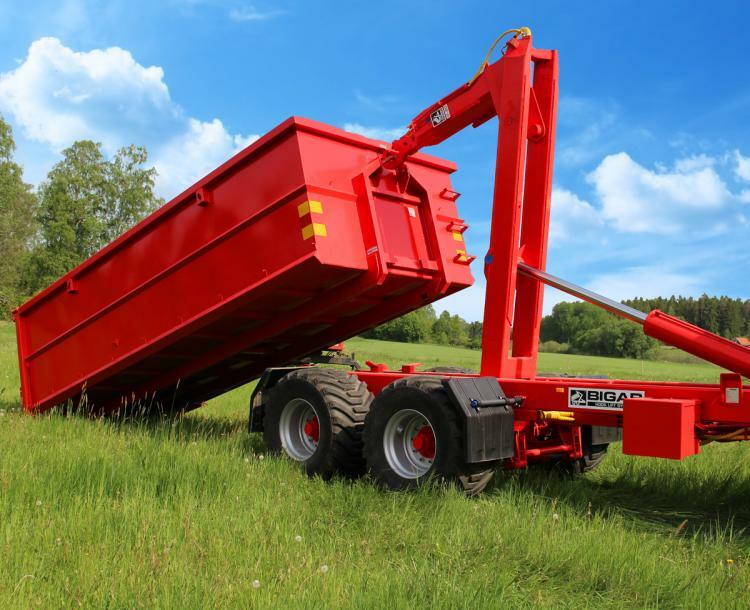 BIGAB 17-20 is the well equipped trailer that feels exactly right and which follows the tractor just as it should.